The Cypress Landing Golf Club schedules many member hosted community events such as the Regional High School Championship Finals, The Beaufort County EMS Tournament, The Crime Stoppers tournament, and fund raising events for both Ruth’s House and the Arts of Pamlico Center in neighboring Washington. 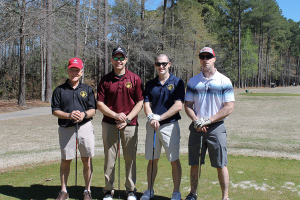 Club members proudly sponsor an annual Military Appreciation Day Event inviting men and women of our armed services to a day of golf, fun and food, a great way to thank them for their service. 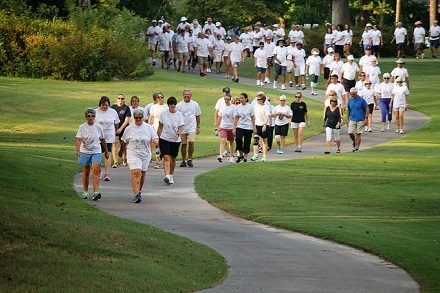 Over 100 residents of Cypress Landing and local businesses participate in making the event a great success, raising several thousands of dollars for Fisher House. The Club also hosts both Ladies’ and Men’s PGA Pro Am Tournaments. In addition, the Club hosts several events which compliment the array of membership golf tournaments: The Masters Tournament, Club Championships, Couples Tournaments, the WGA Solheim Cup and MGA Ryder Cup.